A farewell to Ndop… (deadline). The deadline to bid on one of the Kuba treasures ends this Saturday around 8 p.m. Belgian time. NOTE: All objects will be send for free worldwide and you get a complete description in each package. The Royal Kuba art shines by it’s diversity and cannot be understood purely from an artistic point of view. It is the fruit of an intellectual process of representations, reflecting the construction of the political state, and integrate forms and symbols. Founded in the 17th century by A-Shyaam Mbul, The Kuba Kingdom gradually included no less than twenty Bantu ethnic groups. The royal power is based on a powerful aristocracy. Kuba art became quickly “regalia”, integrating codifications allowing everybody to find it’s place inside the society. Already in the early 20th century, Europeans were quite impressed by the Royal Kuba art. In 1906 Leo Frobenius declared: “Every cup, every pipe, every spoon, is an art object comparable to the best European Roman style creations”. The perfect illustration of this regalia’s art is incarnated by the Ndop figure. Those figures are not a pure representation of deceased kings but a mental idealization of Kuba kings who governed since the 17th century. A codification by the abstraction of forms called “Ibol” that allow to identify each king or Nyim. These figures have a double “twin” trans-temporal function. During the reign, the Ndop figures were kept in the kings “harem” women area bringing fertility and giving protection during the absence of king. After the kings deceased, the figures became commemorative and were stored in a private room, and only exhibited during commemorative ceremonies. Masks are also important for the Kuba. They are used both in court rituals and during the boys initiation during the adolescence rites of passage, as well as during funerals. – Moshambwooy represents “Woot “the founder of Bushoong. – The role of women is the Kuba society is not less important with the “Nady Amwaash (Ngaady Un Mwash)” mask. The Kuba kingdom has the particularity of having a matrilineal succession system, detrimental to the patriarchal system. That’s how the kingdom has been able to count in its history some Queen-Mothers and Queen-Regents. -Finally the third important mask is called “Bwoom”. He represents successively a prince (the younger brother of the king), but can also simply be a man of the people, or a pygmy representing a subversive personage at the royal court. The Kuba are also appreciated for the creation of fabrics called Ntshak, and the famous Kasaï velvet. They were made as ornament, but also as an exchange-piece, or used as funeral ornaments and for other ritual occasions. Boosted by a strong economical development and a powerful hierarchic kingdom surrounded by a powerful aristocracy, the artisans class rapidly emerged in Kuba Kingdom, not only to serve the power of the king but also by producing ‘High-quality objects for other high-status people: drums, neck-rests, friction oracles, or Kuba cephalomorphic cups. 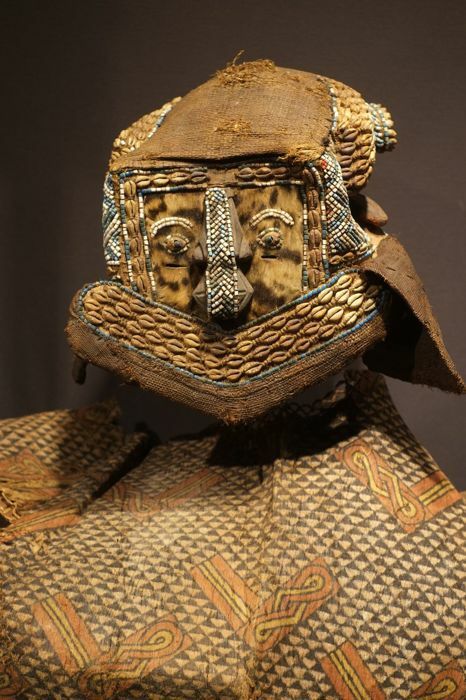 See All Lots offered by David Norden Buy African Antiques on Catawiki . Good day, my names are shaka rati from Kaka in Cameroon, Having had and seen many people come to my country for antique furnitures, i have made real contact with a remote village in my country where there are many antiques that may interest you. Please if you are interested about it just contact me and i will send you some pics of those i can get and sell with their stories. From Antwerp, it’s the summer of Slow Art .. The History of African Art Dealers.